We’ve always been explorers, enjoying the back roads of Idaho and now Oregon. We’re not cityites who like to stare at window displays or order lattes. We like to travel back roads, sip home-brewed coffee, and enjoy the scenery. Enjoying a challenge, we filled our coffee mugs, gathered our dogs, headed south on 101, and turned east toward Beaver Creek. We turned left where the road teed and stopped at the Beaver Creek Welcome Center, hoping they’d have a map of the area. We looked at each other. Turning back was rarely an option. Not when we wanted to see something new. After considerable conversation, we waved a cheerful goodbye and followed the road. Within minutes we stopped at a small park with a picnic table and a large area for the dogs to run. While the dogs sniffed bushes, we picked blackberries and chomped on half-ripe apples from a nearby tree. “Yuk.” I spit out the bitter fruit. “Just right,” my husband said happily. We rounded up the dogs, got back in the truck, and continued on. No cars tried to pass us. No trucks met us head-on. The only vehicle on the road, we traveled slowly enjoying the drive, heavy with vegetation on both sides of the road. “Reminds me of the road to Fall Creek,” I said, commenting on the dense undergrowth. 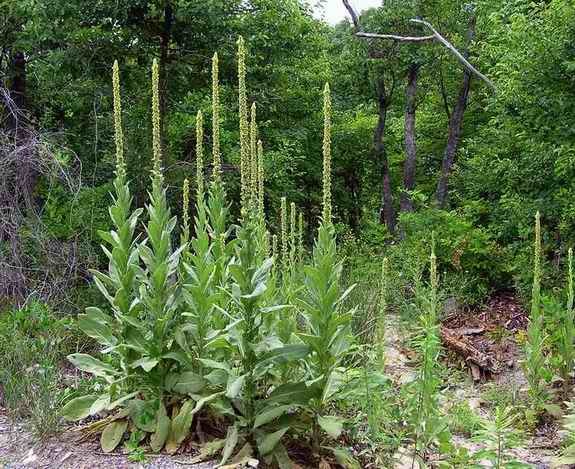 But instead of seeing obelisks of mullein and ponderosa pine, the shoulders of these roads were thick with evening primrose, foxglove, and purple loosestrife. 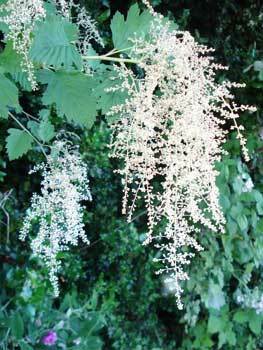 I gawked out the window trying to identify the plants: Queen Anne’s Lace, mountain ash, ocean spray, and wild rose. Many more varieties than I would see traveling the gravel road from Fall Creek to Featherville, which held mostly fern and pine. “Look,” my husband said as two velveted buck dashed in front of us. He hit the brakes and we watched them dart into the trees. We knew they were watching us, waiting for us to leave. But try as we might, we couldn’t spy an eye or an antler. Moving on, it wasn’t long before we hit gravel. The vegetation grew thicker, canopying the narrow road. Blackberry vines reached toward the truck, each branch heavy with green berries. We were driving into a jungle, secluded and uninhabited, with no signs to guide us. 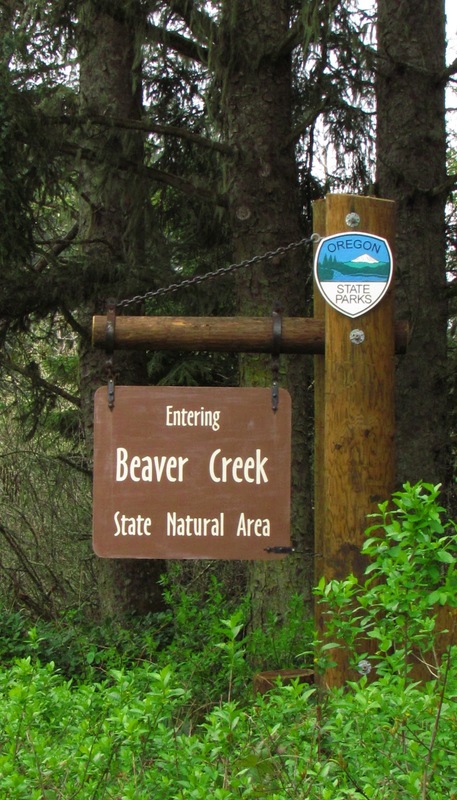 “Wonder if we should turn around?” my husband said, recalling the words of the Beaver Creek volunteer. Unwilling to give up, we moved forward, deeper into the forest. “Must be on the right road,” my husband said when we finally spotted a mile marker that looked lost on the gravel road. “How many miles did he say?” I asked. We’d been driving almost an hour, but I couldn’t judge mileage. We were moving slow, sometimes five miles an hour, up, then down, wind around a corner. Wind around another corner so dark with shade we couldn’t see the sun. Climbing again, we broke out onto a sunny hilltop. The panorama of the valley was jaw-dropping, worth the worry of getting lost. Leaving the forest behind, we headed down. Minutes later we were on familiar asphalt again. “Not even twenty miles,” my husband said. And the very best part of the drive was that we didn’t once have to turn around. This entry was posted in Back Roading, Bonnie's Blog, year 2016 archives and tagged Bonnie Dodge, Fall Creek, Idaho, Oregon, Toledo. Goodbye, Nye Beach Writers Series. It was good to know you. 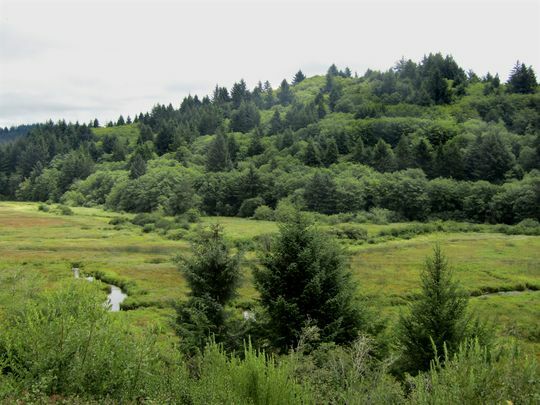 For more than thirty years my vacation destination was the Oregon Coast. Leaving behind stressful jobs and busy schedules, my husband and I drove to the coast, almost every year, usually in late September or early October. We’d rent a vacation home overlooking the ocean and do nothing. Well, not really nothing. He’d golf and I’d either write or read. We’d take long walks on the beach, or just sit back and watch the sun set. We loved the quiet easy-going pace we found here and a chance to unwind and recharge before heading back to the real world in Idaho. 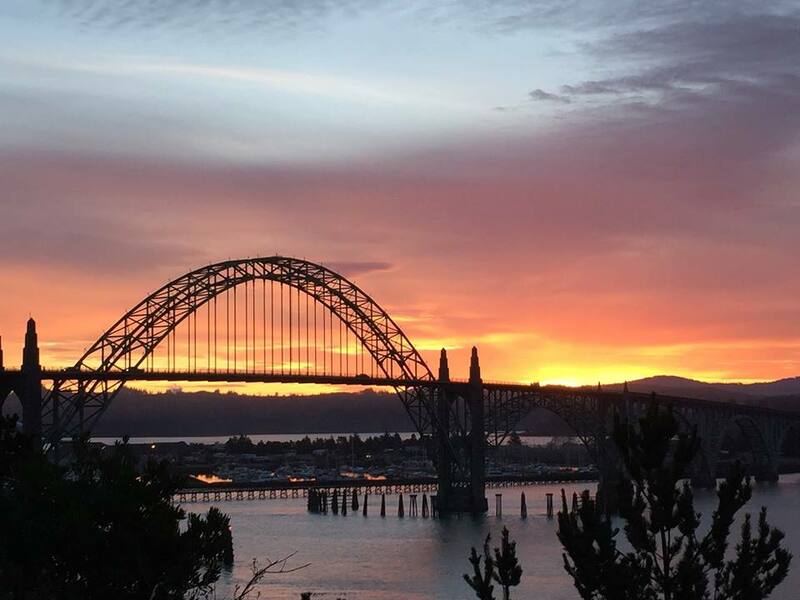 If you know anything about the Oregon Coast, you know there is always something happening here, either in Lincoln City or all the way down the coast to Florence. Even after all those trips, we never had time to do everything we wanted to do. Often we would leave saying next time I’m going to …. One of the things I always wanted to do was attend one of the writer’s events back when they were still held in Yachats. But I could never fit it into our schedule. When we moved to Oregon, one of the first things I did was attend a Writers on the Edge event at Nye Beach. It wasn’t long before I joined the board and became more involved in the organization. A strong writing community is one of the reasons I moved to Newport. After thirty years, I still feel like I’m seeing the ocean for the first time. And every day I spend here, I learn to love Oregon more. For our final event, Writers on the Edge will host Johnny Bargain on June 18 at 7 p.m. at the Visual Arts Center on Nye Beach. If you’re in the area, please stop by and help us celebrate a wonderful organization. And just in case you are interested, here are some things you may not know about our next author, Johnny Bargain. The stories from my past were circling in my head. I’d wanted to write a letter to my friend’s 18-year-old son who had been gunned down in the 1960s by the police as he rode his Harley Sportster in Rosebank, Staten Island. Three bullet holes punctured the boy’s back, for no good reason at all. I wanted Stitch to know he had not been forgotten even though 50 years have gone by. The memories weighed heavily and I couldn’t shake them. Over time, I mentioned some of the incidents to Carla Perry, publisher at Dancing Moon Press and she suggested that I record them on a tape recorder since I didn’t have the patience, eyesight, or ability to write them out on paper and I don’t have a computer. She said the stories were tragic, appalling, poignant, eye opening, and funny, and that they provided a glimpse into the world of motorcycle clubs and gangs that was unlike anything she’d encountered before. So I headed down to California for a three-day biker party and by day ten, I’d managed to record several stories. Carla transcribed the recordings when I returned, but she said more stories were needed to flesh out a full book. When I said I couldn’t remember more, she suggested I create a map of my Rosebank neighborhood — the bars, Dapper Dan’s motorcycle shop, the houses where I lived, the police station, the location of the murders, the location of infamous parties, the cemetery where Stitch was buried, and the various motorcycle club headquarters. Each time I drew a building or marked an X on the map, stories flooded out, clear as the day they’d happened. So, I headed south again for another biker party and came home with plenty of material. I clear the space in my head by inhaling sweet weed, think of an incident from my past, turn on the tape recorder, and start talking. Carla Perry prepared three drafts for me. The first was to make sure the information was correctly transcribed and that I was okay with the short story titles. The second was to put the stories in order and correct name spellings. The third was the final draft. The cover designer, Sarah Gayle, also drew cartoonish maps to illustrate the locations where the stories took place, so those are interspersed throughout the book. The best thing was getting the stories out of my head so I don’t have to remember them anymore. I feel a sense of freedom knowing I’ve done what I hoped to do – reconnect with Stitch by writing this book dedicated to him. The worst thing is there are still more stories I’d like to get down on paper. Maybe there will be a volume 2. I can’t write longhand anymore because my eyesight is not so good and I will never use a computer, so talking into the tape recorder worked great for me. Telling stories from my past is not a job. It’s something I’m compelled to do to make peace with my early life. 6) What was the best advice you received as a writer? The worst? The best advice was when Carla Perry suggested I draw a map of my neighborhood. That was amazing. Every street corner, every bar and tavern, the cafes, the movie theater, the houses my friends lived in, every building, park, church, and school contained vivid stories from my life in Rosebank, Staten Island. It was like taping into full-color movies of what went on in the 1960s. I could remember conversations, the sounds, the smells. It was all there, hidden away in my memory. 7) Who has influenced you the most in terms of developing your personal writing style? I just speak it out so my writing style is just the same way I talk. Except it’s a little more cleaned up through the editing process. 8) If you weren’t a writer, what would you be? I’m a retired building engineer. I’m an artist of three-dimensional representations that hang from the ceilings and walls. I’m already 80 years old. I never planned to become a published author. 9) What quote or personal saying do you live by? “I’m surprised you’re alive.” – Fred, a member of Johnny’s Yoga class. 10) What’s next up for you, writing-wise? 11) What would you like us to know about your latest release? The absolutely true stories of my life are in that book. This entry was posted in 15 Things, Bonnie's Blog, Books, Events, year 2016 archives and tagged Johnny Bargain, Nye Beach Writers on the Edge, Oregon, Writing. Plants have always been my passion. You’re more likely to find me outside playing in the dirt instead of indoors sitting in front of the TV or holding a book. For as long as I can remember I’ve been interested in plants. What is it? Does it have medicinal purposes? Can you eat it? Moving to the Oregon Coast, then, has been this gardener’s dream. Here, if you want something to grow, just toss it on the ground, forget about it and a week later it will be an established plant. In southern Idaho if you tossed a plant on the ground, it was destined to die. As an Idaho Master Gardener I know a lot about plants. But here in Oregon I feel like I’ve dropped down the rabbit hole. My head bobs at every step as I try to identify plants I’ve never seen before. Like the large bush that attracts birds and borders my yard on the north. 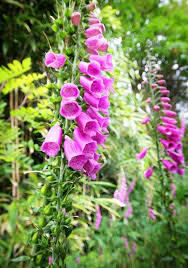 The plant is prolific; I see it everywhere. 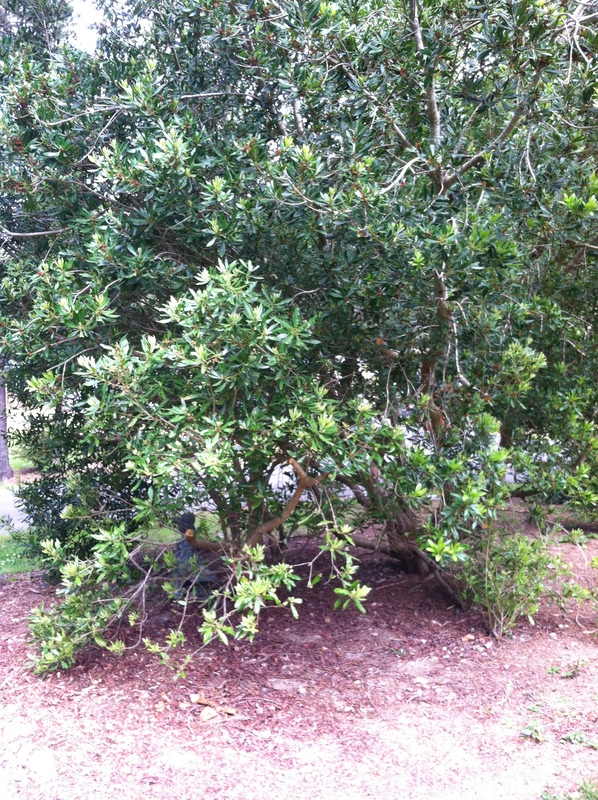 But it took a trip to the county extension office to learn that the plant is a wax myrtle. I didn’t know that the pretty yellow plant along the side of the road is scotch broom and that it’s invasive. I was familiar with perennial geraniums but didn’t know that Herb Robert was not the same as cranesbill geranium even though they look alike. 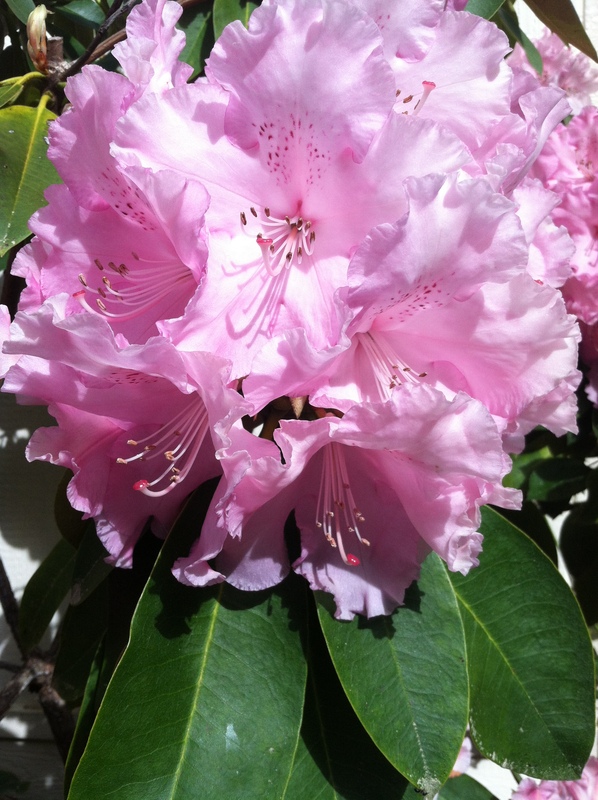 Is it an azalea or a rhododendron? What makes them different? 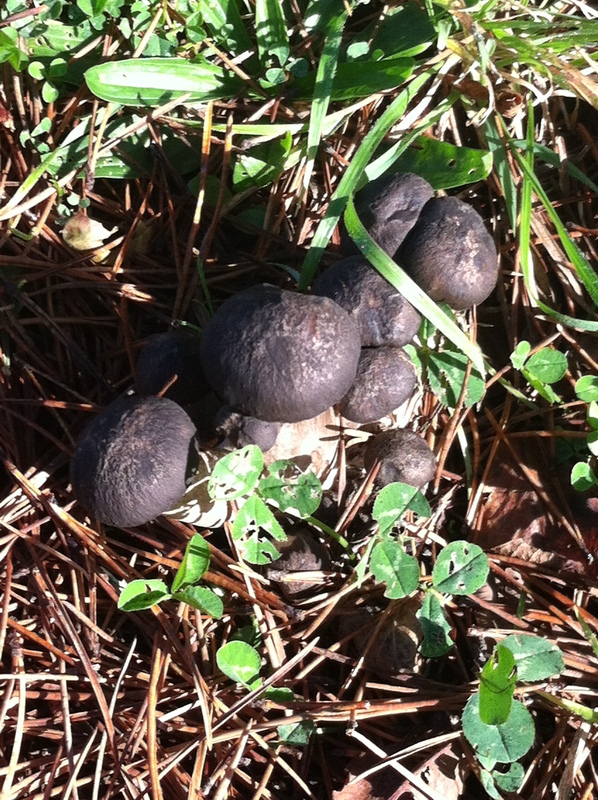 My yard is a wonderland of new discoveries. I knew I had a lot of blackberries bordering my lawn, but I didn’t know that I also had salmonberry, thimbleberry and evergreen huckleberries, not to mention the salal that grows like trees. A walk through my neighborhood is truly a walk in the forest. 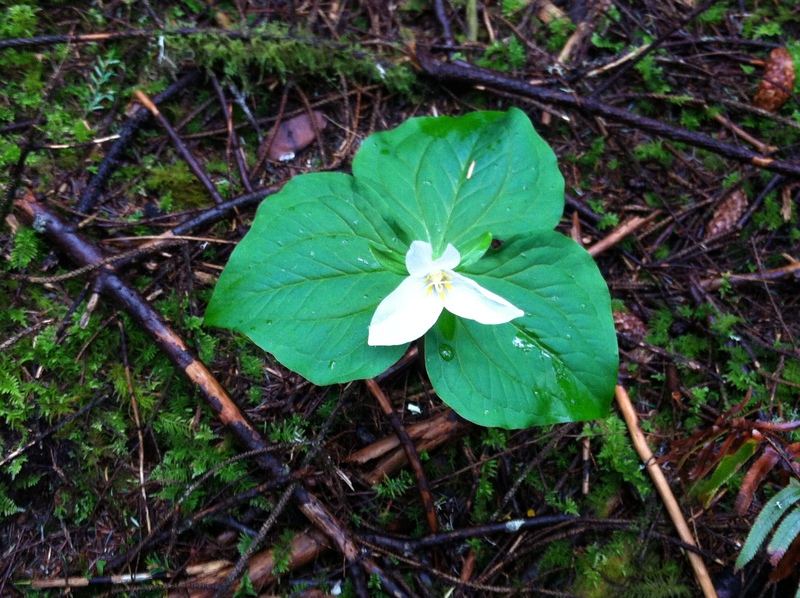 Trilliums. 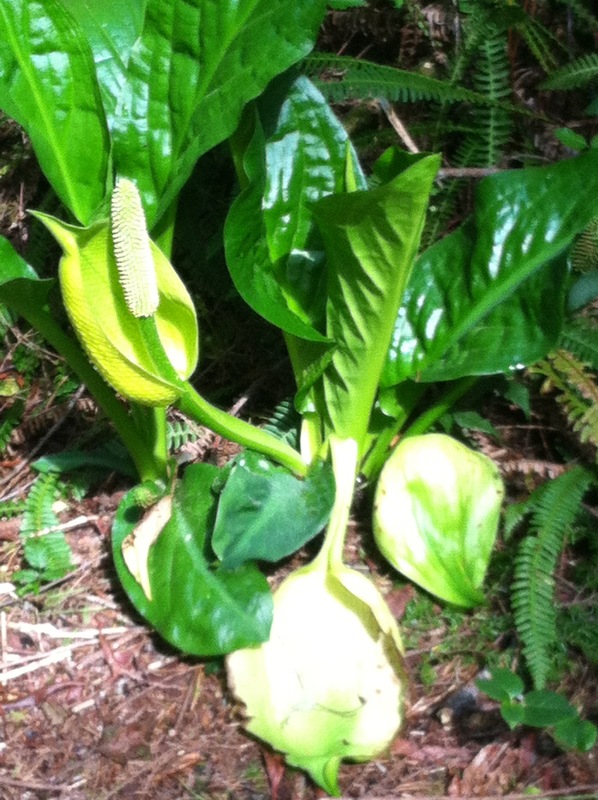 Yellow skunk cabbage. English daisies and woodland strawberries that cover the ground instead of grass. Western buttercups and lewisia. Each forward step offers a mystery to be solved. Moving to Oregon has been a grand adventure and I’ve enjoyed getting to know all about the plants that grow in my yard and neighborhood. With the ocean just down the road, I’m eager to start learning the names of the interesting treasures I find on the beach. 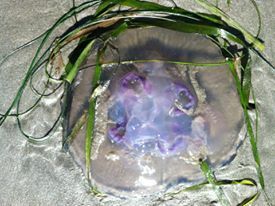 This entry was posted in Bonnie's Blog, moving, Transitioning, year 2016 archives and tagged Bonnie Dodge, Idaho, ocean, Oregon, Oregon coast, plants. Well, not really. It doesn’t rain every day, but yes, it does rain a lot. In southern Idaho rain is scarce. We were lucky to see ten inches of rain a year. In Oregon we see that much rain in one month. Idaho weathermen talk about wind and drought. Oregon weathermen talk about rain and showers. Thus began the debate. Was it raining, or was this a shower? We asked our resident son. “It’s raining,” he said. Which sent me to the Internet and dictionary. What should be easy to differentiate appears to be tricky. Even though “showers” are indeed rain, there’s a subtle difference as far as weather forecasts go. “Rain” as in “a rainy day” or “occasional rain” is more widespread. Most, if not all, of the area will see rain and it will last for a while. Unlike rain “showers” the duration of rain is steady and prolonged. Rain tends to be light to moderate in intensity and generally comes from stratus clouds. 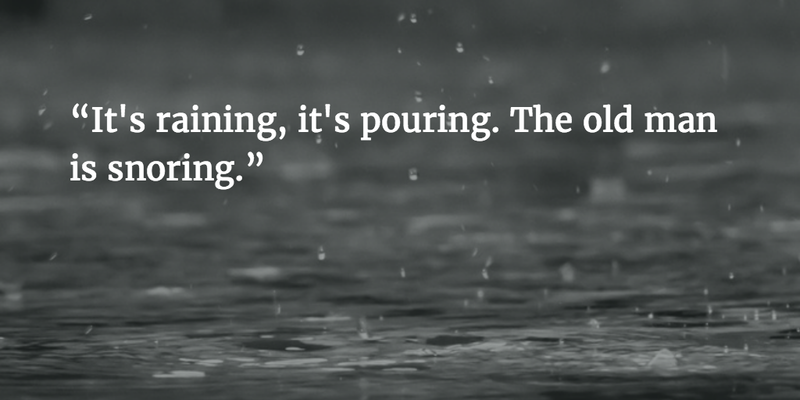 Rain usually lasts longer than showers. “Showers,” on the other hand, are more scattered. It could be raining in Lincoln City, but dry in South Beach. Showers tend to be shorter in duration, while rain could last all day. “Showers,” also known as “rain showers,” tend to be quick and come in bursts. Showers come from puffy clouds or cumuliform clouds like cumulus or cumulonimbus. Compared to rain, showers cover a smaller area but can be more intense. Conversely, showers are more dispersed than rain. Isolated showers are those that are divided during a certain time frame. Local showers is rain that happens in a much smaller area of coverage. There are also patchy showers, which happen irregularly within a specific area. Showers often start and end more abruptly compared to rains. So there you have it, if you ever get caught in a debate about rain or showers. Either way you’ll need an umbrella. This entry was posted in Bonnie's Blog, Transitioning, year 2016 archives and tagged Idaho, Oregon, rain, rain showers, showers. When I moved from Idaho to Oregon my biggest fear was how well I would adapt to the wet climate. I’m a sunshine girl. I’ve spent most of my life living on a high desert plain. I know about wind. I know about dry air. But I knew nothing about wet and gray. That nagging voice in my head kept harping, You’re not going to like it. You’re not going to like it. But this week as I watch the temperatures in Jerome, Idaho, drop to below zero, I’m not so sure. Here in South Beach it’s a misty 52°. Last night temperatures dipped to 45, not 18. This week I didn’t have to wake to -1°. And yesterday I was able to get outdoors and take a walk between raindrops without snow boots and gloves. The air was fresh; the roads were wet, but not icy. And this is December. 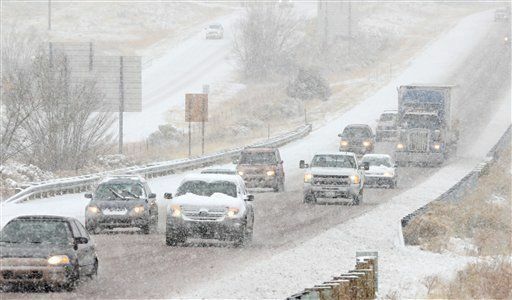 Idaho Decembers can be treacherous, especially the first snowfall and freeze. Cars run off the freeway, pileups happen, summoning a parade of tow trucks until people slow down. 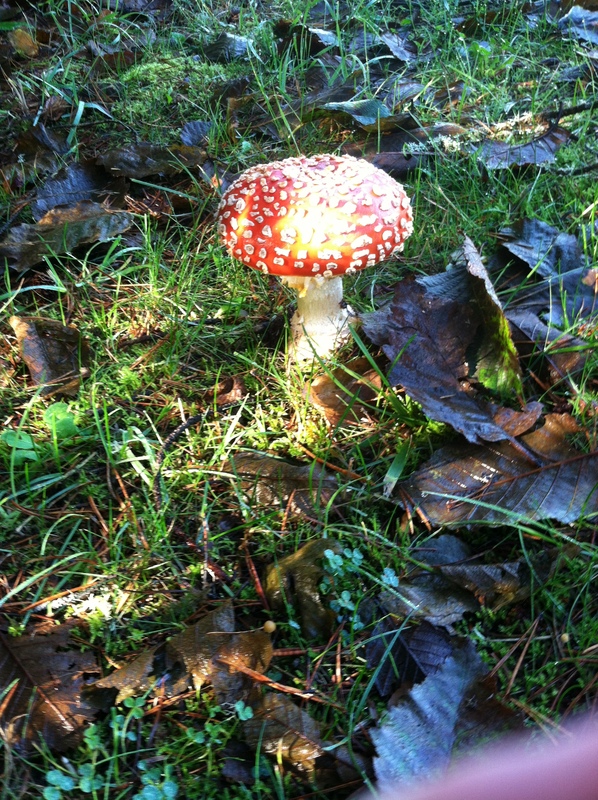 December in Oregon is also dangerous. There may not be snow on the road, but there is plenty of freezing rain. You can drive along at normal speed and then bam! you round a corner and hit ice. I’ve had my share of driving winter roads. I know how to maneuver. But between you and me, I prefer snow-covered to ice. Ice is impossible, even with chains. So though some thing’s change, some things stay the same. It’s winter, and time to take it easy. Maybe it’s nature’s way of telling us to slow down and enjoy the season. This entry was posted in Bonnie's Blog, Transitioning, year 2015 archives and tagged Bonnie Dodge, ice, Oregon, snow, winter. Yesterday I received an email from my brother. So, it said, do you still like it there? I’m headed into the third month in my new house. 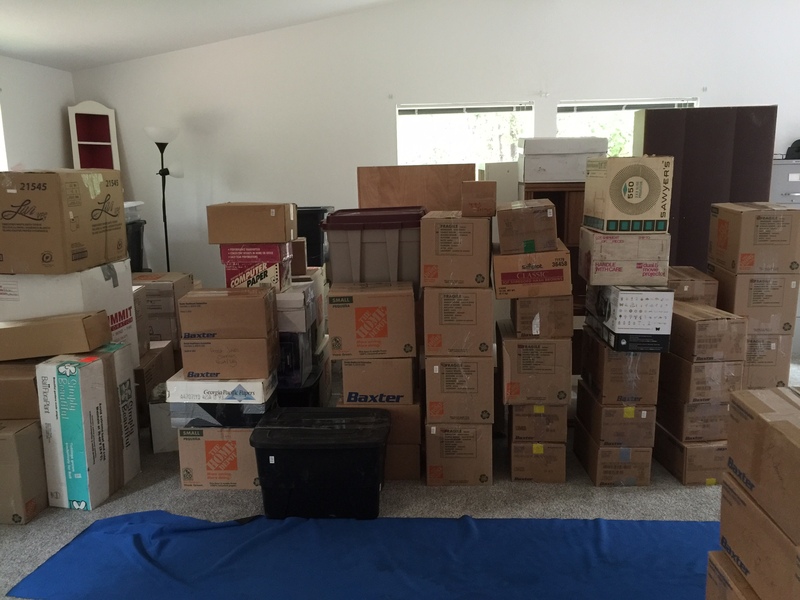 The boxes are unpacked. Everything has been put away or donated to Goodwill. Most of the pictures are on the wall, with the remaining three in a dining room chair waiting for me to find the perfect place. Finally there is time to take a walk through the wooded neighborhood or sit in front of the window and sip coffee. 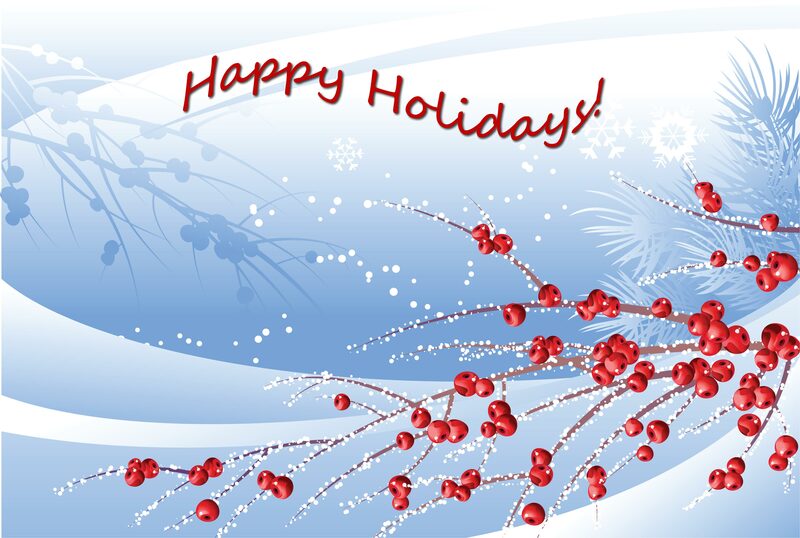 Finally there is time to take in some community events, which are many. In spite of the loud clothes my husband sports, we are quiet people. We don’t like a lot of hustle and bustle or big crowds. Newport is anything but quiet during the summer months, but come September vacationers return to their homes and things settle down here. But not too much. In fact, not at all. We’ve discovered there is always something to do on the Oregon Coast. From Lincoln City to Florence, there is always something going on: farmer’s markets, mushroom walks, kite festivals, writing workshops, woodworking classes. This is not a community of old people. This town is very active. Newport isn’t as big as Jerome, Idaho, which boasts approximately eleven thousand people. Newport has a population of about ten thousand after tourist season. Newport has a great medical facility and the library is awesome for such a small town. 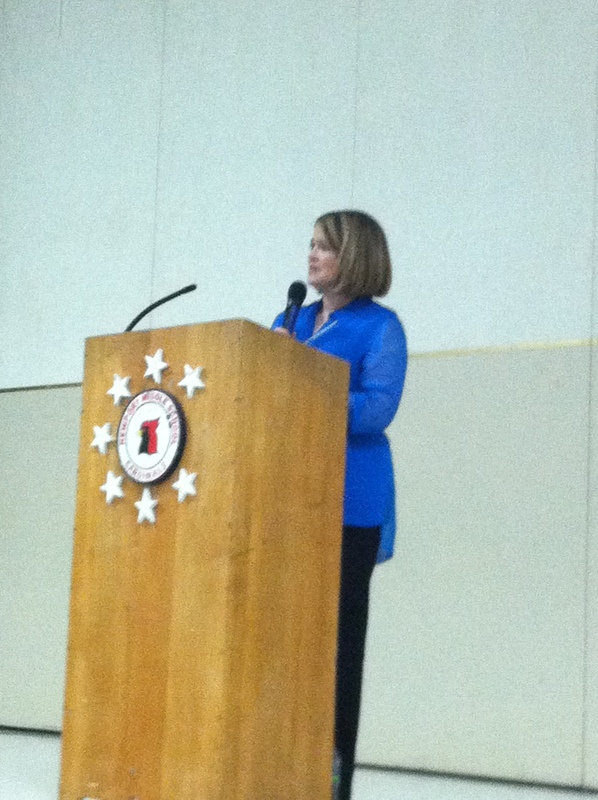 Just this week the Newport Public Library Foundation sponsored author Marja Mills, who spent her day talking to Newport students and then, that night, read from her book and shared with the community what it was like to live next door to Alice and Harper Lee in Monroeville, Alabama. The evening was interesting, and it was free. Today the sun is shining. Outdoors it’s a balmy 50 degrees. There is no wind. There is no snow. There is no freeway traffic. So, to answer my brother. Yes, I still like it here. No, wait, that’s wrong. I not only like it here, I think I’m in love. 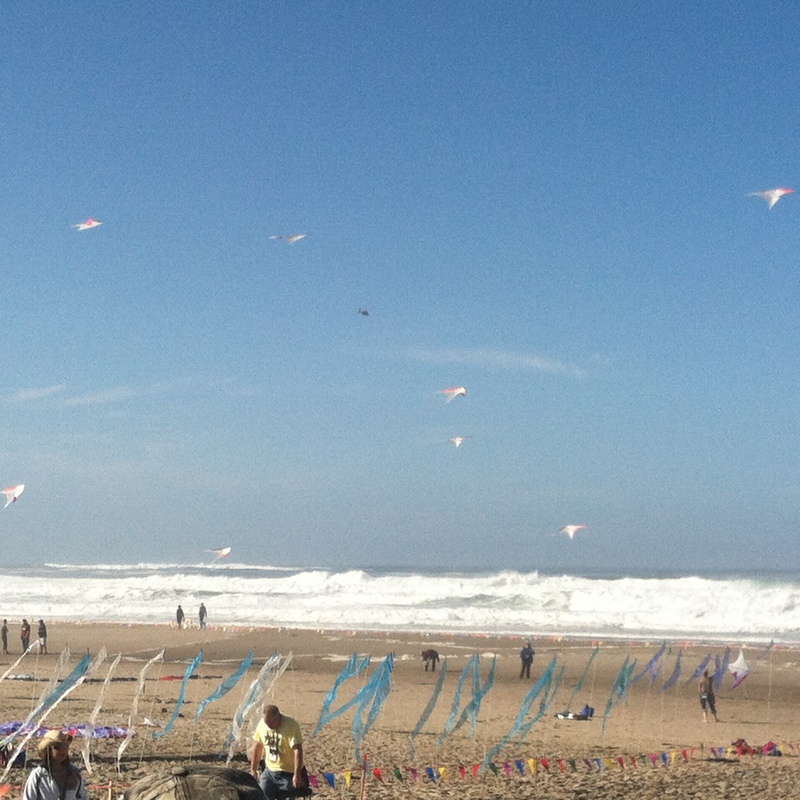 This entry was posted in Bonnie's Blog, Events, Transitioning, year 2015 archives and tagged Harper Lee, kite festival, Marja Mills, Newport, Oregon, Oregon coast. The boxes have arrived and I’ve started the daunting task of putting things away. This is the third major move for me, and by far, feels like the hardest. At the Idaho house, I knew where everything was. If I needed a jar of peaches, all I had to do was walk outside to the pantry in the three-bay shop. If I needed a roll of string or a nail, I knew they were in the bottom drawer in the laundry room. Easy peasy. Here, in Oregon, not so much. Here there is no pantry in the shop. Here the shop consists of a one-car garage crammed with my husband’s yet to be situated table saws, hammers, and routers. Here there is no bottom drawer in the laundry room. In fact, there are no drawers in the laundry room, which is half the size of the laundry room left behind in Idaho. True, the house in Oregon is larger, a triple wide modular home instead of a double. With vaulted ceilings and an extra living room I can convert into an office, freeing up one of the bedrooms so the grandkids don’t have to sleep on the floor. The Oregon house sits on half an acre instead of ten, and it’s three minutes from the ocean instead of a noisy freeway. In Idaho, I could hear the din of traffic twenty-four hours a day. Here it is the ocean, which is a sound I recorded to fall asleep, and a sound I listen to to write. One “white noise” replaces another, but this white noise is nicer, and here I don’t mind being outside. It isn’t the outside that is tricky though. It’s the inside, and the cupboards, and where to put everything. The bedrooms and bathrooms aren’t too hard, towels and sheets go in closets, as do the clothes. We were ruthless in downsizing, and here everything fits. No extra blankets to store under the bed. No extra shoes taking up space. Our packing motto, “use it or lose it,” paid off. There isn’t a lot of extra stuff looking for a home. But it’s the kitchen that’s giving me fits. Yes, I have more cupboards in this kitchen. But they are arranged differently than those in Idaho. There’s a long floor to ceiling cupboard I can use as a pantry. But it’s so deep I have to be careful what I put in the back. And there’s a small cupboard by the stove instead of the double one I am used to that held all my spices. Moving is like being on an adventure. Open this door, what will you find? And that’s what I’ve been doing for weeks as I adapt to my new home. What doesn’t work so well in one cupboard gets moved to another. What doesn’t get used every day gets moved off the kitchen counter. As I move things around, I feel like I’m spinning, and I’ll be glad when this “moving” part ends. Moving at any age is hard, but it takes a toll on someone in their sixties. At times I feel like I am playing hide and seek. Like today. It’s time for lunch and I have no idea where I put the salt. I see I put the butter in the cupboard. Hopefully I won’t find the salt in the refrigerator. 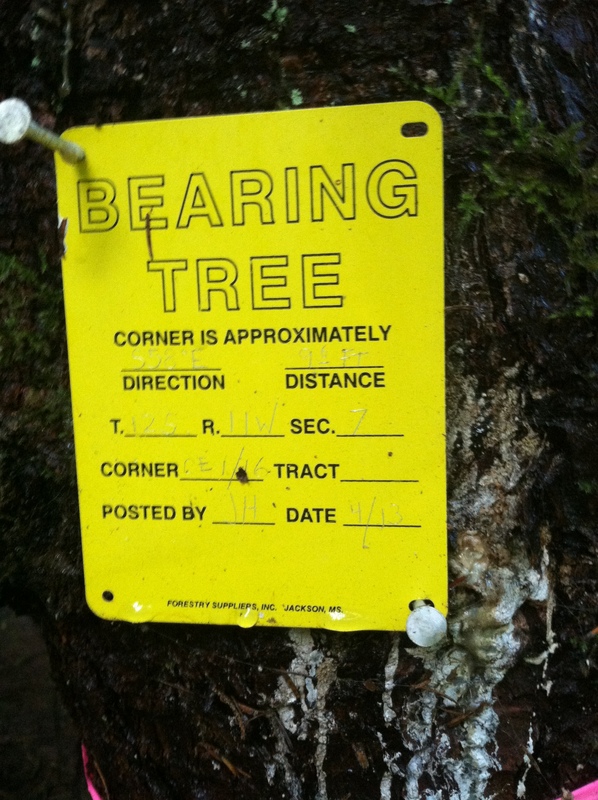 This entry was posted in Bonnie's Blog, moving, Transitioning, year 2015 archives and tagged Idaho, Oregon.